A con con could fundamentally change state government, or be hijacked by entrenched interests. 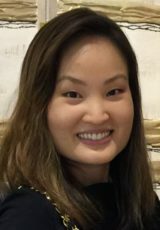 Editor’s note: This is the fourth and final in a series of Community Voices about the November ballot question regarding whether to hold a state constitutional convention. When the “Con-Con Salon” convened last March, we began with the basics. How do constitutional conventions work? What are the mechanics? What came of previous con cons, especially the momentous 1978 gathering, and how do some of the alumni from that gathering look back on their experience? If con cons are snapshots or mirrors of the public mood at the moment, how do we assess the temper of our present time and the social crosscurrents that are at work? What background forces will be in play when the polls open in November? 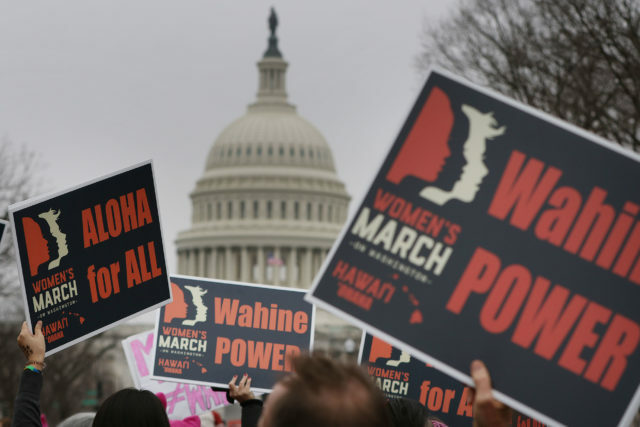 Hawaii participants in the Womens March in Washington, D.C., in January 2017. The temper of the times could affect how voters feel about a possible state constitutional convention. Hawaii’s public mood is fraught. Maybe it always is but as we talked, a few participants discussed what they believe to be a profound disillusionment with the Hawaii Legislature and a general disappointment with politicians and government leadership. Some mentioned the national mood that seems to be spilling into Hawaii, especially the well-documented growing distrust of government and a rising global tide of radical right populism. Others spoke about particular issues, divisions, screw-ups and the running inability to get much done. A few cited specific problems and failures: $20 billion in unfunded retirement and health care obligations; our aging and sagging infrastructure; the ballooning costs of rail; the failure of the Hawaii Superferry; homelessness; union overreach; the cultural disputes over Mauna Kea and the Thirty Meter Telescope. 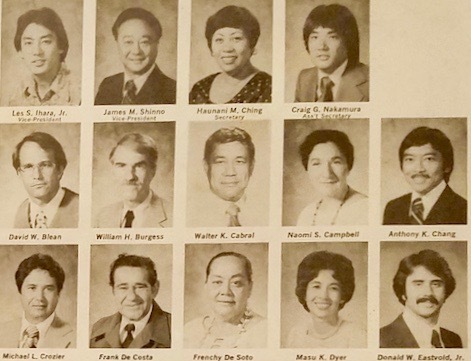 Some of the participants in the 1978 Constitutional Convention of Hawaii. Others talked about deeper forces: a one-party monopoly for the last 50 years; ongoing demographic changes; income disparities; the lack of affordable housing and the steady pricing out of people born and raised here; voter fatigue and continuing low voter turnout; and a growing sense of squalor in our neighborhoods and on the street. There were also bright spots. Millennials are coming of age and getting interested in politics. Hawaiian language is resurgent and the culture is being practiced. Women are stepping up to assert their rights and run for office. There is a growing push to clean up the built and unbuilt environments, get off oil and grow more food. We then took up two other topics: what are the pros and cons of staging a new convention and, if a con con goes forward in 2019, what are some of the proposals and agendas that will likely surface? Where you stand depends on where you sit. Translated, people tend to make policy choices and adhere to political strategies that serve their own organizational and personal interests. Salon participants recognized this. We knew that the potential pros and cons of a future con con will always be tinged with our own hopes and fears that, in turn, link back to our political, social and ideological preferences. Nonetheless, we thought hard, talked long, generated lists, and then boiled our ideas down to a few top ideas. spark a new generation of political leaders. be a waste of time since the bar for passing any measures that come from a con con were made impossibly high by the Legislature after 1978. Inevitably, all of our hopes and fears about a future con con will link to specific constitutional changes that might be proposed. Here are some examples. These are provided only for illustrative purposes to show the range of potential proposals and debates. The 17 participants in the Con-Con Salon took no positions on any of these topics or issues. We generated the list only to serve as examples of what could come on the table for debate if a new convention is authorized. What the salon does advocate is this: As the con con debate ramps up ahead of the Nov. 6 ballot question, embrace the discussion, weigh the choices and create your own safe places to discuss the issue with respect and civility. The health of a democratic society, observed Alexis de Tocqueville in 1835, is really measured by the quality of functions performed by private citizens. It’s up to you. Get some friends and neighbors together, bring some food, talk story about a future con con, and invite your candidates for office to come and tell you exactly where they stand. Peter Adler is a planner and mediator with a particular focus on issues that involve challenging technical and public policy challenges. 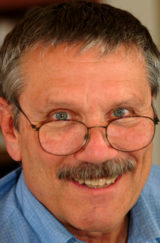 He served as one of the organizers and facilitators for the 1985 Water Code Roundtable and helped shape the current code. Jenna Leigh Saito, M.A., is a graduate of the University of Hawaii Manoa. She was born, raised and still resides in Ewa.